Amanat, Abbas & Assef Ashraf (eds.). 2018. 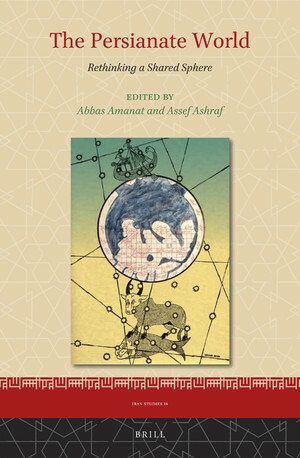 The Persianate world: Rethinking a shared sphere (Iranian Studies 18). Leiden: Brill. The Persianate World: Rethinking a Shared Sphere is among the first books to explore the pre-modern and early modern historical ties among such diverse regions as Anatolia, the Iranian plateau, Central Asia, Western Xinjiang, the Indian subcontinent, and southeast Asia, as well as the circumstances that reoriented these regions and helped break up the Persianate ecumene in modern times. Essays explore the modalities of Persianate culture, the defining features of the Persianate cosmopolis, religious practice and networks, the diffusion of literature across space, subaltern social groups, and the impact of technological advances on language. Taken together, the essays reflect the current scholarship in Persianate studies, and offer pathways for future research.